Chasing Secrets begins with Ian Burke being informed that the granddaughter he thought was killed in a bus explosion twenty-five years before was actually not on the bus. He has long mourned the death of his only son and his son’s family, a presumed mafia hit, and he is instantly determined to find his long-lost Aileen and bring her back home. Unbeknownst to him, Haley Callaghan, a member of the Elite Guardians team, is going about her business as a bodyguard for others in danger. She has noticed recently that she has gained a shadow, but assumes it is from her regular work. One night, though, the shadow turns deadly. After an attempt on her life that leaves her with stitches, newly transferred Detective Steven Rothwell is eager to help protect her, whoever happens to be after her. Eason’s style is engaging and easy to read. The pages practically turn themselves in this fast-paced thriller. I’ve been enjoying the entire Elite Guardians series, but I think I enjoyed this one most. I liked the glimpses of Haley in the earlier books, and I have been looking forward to her story all along. I was most definitely not disappointed in reading it. She is a strong and admirable heroine, and I especially enjoyed her interactions with Zeke and his family. Though it is the last of the series, and each one features a different one of the women in the Elite Guardians, it can be read as a stand-alone without confusion. Highly recommended! 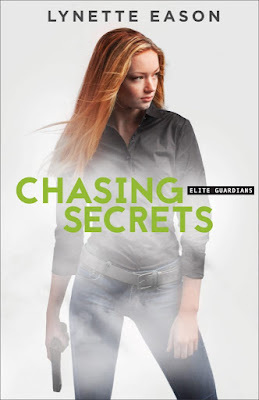 Purchase Chasing Secrets on Amazon.